While many 17 year olds spend their summers working and running around with friends, Bryanna Harrison chose a different option. 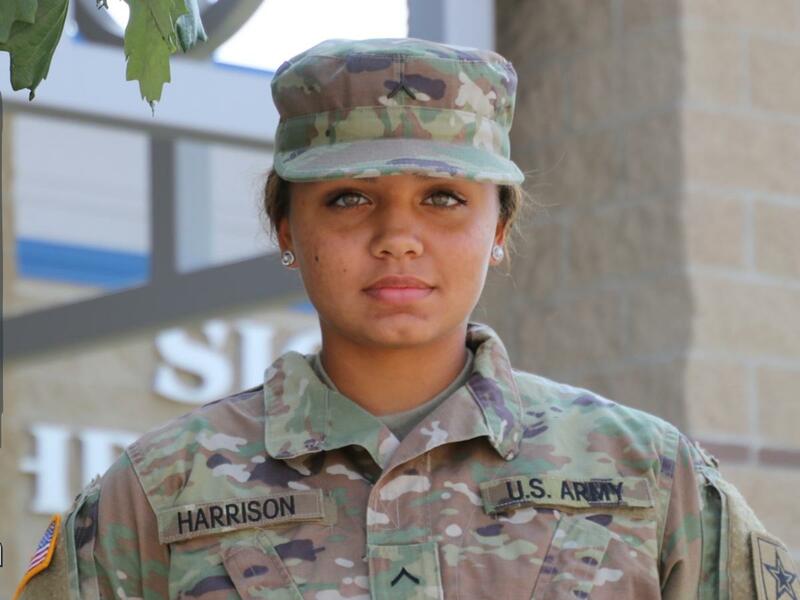 “I’ve wanted to be in the Army since the 5th grade when I started watching a TV show called Inside Combat Rescue.” In the Spring of 2017, Bryanna made an 8 year commitment to join the United States Army. On June 5th of 2017, Bryanna left for basic training at Ft. Leonard wood, Missouri. Most of the first week was spent processing and preparing for the actual training. “We got up at 5:30 and went to breakfast chow. I thought the food would be worse than it actually was.” The second week, training started to get more intense as they met their drill instructors. “They were the ones that actually yelled at us and made us do push-ups.” Every morning they had some kind of physical workout that included running, climbing and marching. “The hardest part for me was probably the ruck marches where we had to ruck 9 miles with 45-50 pounds on our backs going up and down hills. I didn’t know if I was going to make it, but I did, so that was fun.” Repelling down a 60 foot wall, firing machine guns, and throwing a live hand grenade are just a few things that Bryanna got to experience for the first time. Bryanna also had an opportunity to live out her faith. She found a church to attend and started bringing one of the females from her platoon. “We invited other people to church with us that usually don’t go to church. It was cool to see them come to church and see how they interacted with other people and other Christians.” Bryanna had an opportunity to share with them how God works in our lives and how He is good.